Not sure of the occasion. In back row Marian and Bud Powell, Pauline Muskopf Powell and Roy Powell. 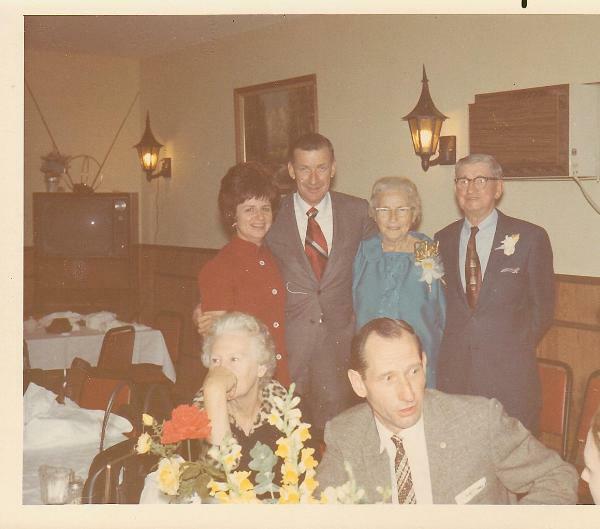 Seated at the table is Anna Tucker Muskopf (wife of Theodore Muskopf and sister-in-law to Theresa Muskopf Esselborn) and next is Fred Esselborn son of Theresa and Fred Esselborn. This is Theresa's sister, Pauline and family.